The time has come to re-rank my cereal cabinet. Let’s do it ‘Rocky’ style! 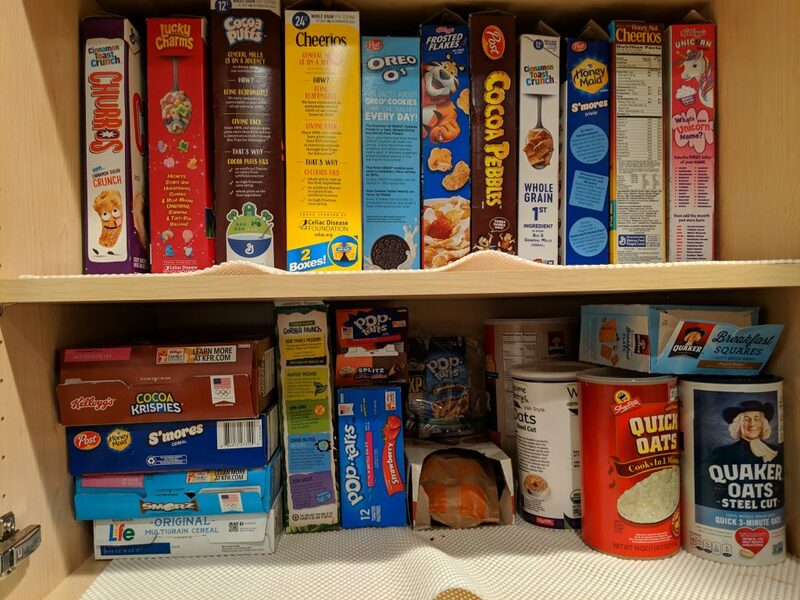 A few years ago, I hit the pause button on HR compliance one day to address a far more critical matter; namely, ranking the contents of my cereal cabinet. Since then, the Bloggerdome has a new kitchen, a new cereal cabinet, and mostly new cereals. We also have a new ‘Rocky’ style ranking system. That is, I’ve grouped the cereal choices by Rocky films from worst to best. Here we go. Much like Godfather III, this movie never happened. Rocky V was awful in every possible way. Tommy ‘The Machine’ Gunn was a terrible antagonist. George Washington Duke was a horrible rip-off of Don King. And Sage Stallone playing Rocky’s son, well, I get it he’s Rocky’s son in real life. But, I saw better theatrical performances in my 5-year-old’s school Christmas show. Along those lines, there are certain cereals that I should’ve left on the supermarket shelf. Better yet, they should’ve never been produced in the first place. I bought Smorz because I wanted to compare them to Honey Maid S’mores (a Rocky-caliber cereal). There was no comparison. Similarly, Oreo O’s is a fugazi. So is Cinnamon Toast Crunch Churros. And Unicorn, I have no idea where that came from. The cereal bits look like Fruit Loops. But, brother, they are no Fruit Loops. Look, I get it. Rocky Balboa loses to Apollo Creed, but Rocky wins an Academy Award. That screams both re-match and franchise. But, there was nothing all that special about Rocky II, the second installment. It could’ve been great. But, it ended up predictable and just, you know, meh. I feel the same way about these cereals in my cabinet. Thirty years ago, if my mother had let us have Pop Tarts in the house, Pop Tarts – Chocolate Chip would’ve rocked my world and, thus, finished higher on my list. The same goes for Pop-Tarts – Splitz (Drizzled Sugar Cookie / Frosted Brownie Batter). That’s kinda like the time Homer told Marge to buy him a ‘bucket of chicken, extra skin.’ This was an impulse buy – duh – and I was expecting something over the top. But, these pastries are totally bland. Maybe my culinary tastes have matured. Did I mention that I made myself a lo mein burrito for dinner last night? With melted cheese. I don’t like instant oatmeal. It’s way too sweet. So, Quaker Instant Oats – Pumpkin Spice stands no chance with me. In my previous cereal rankings, I blasted Cocoa Krispies. Nothing has changed since then. It may even be the same box of cereal. After the Rocky movie that never happened, my expectations were very low for Rocky Balboa. But, it was a’ight, with Rocky returning to his underdog role to take on Mason ‘The Line’ Dixon. Bonus: we got Milo Ventimiglia as Rocky, Jr. These cereals are just ok. It’s hard to get that excited about Shop Rite Quick Oats (plain oatmeal) or Cheerios, especially when I can easily reach for their upgrades (more on that in a bit.) Gorilla Munch is a bougie version of Kix. I don’t particularly love either one. Frosted Flakes < Raisin Bran. Cocoa Pebbles could easily be on the next level. But, I have a lot of cereal still to rank. Oh, you were expecting Rocky III here? Sorry, dudes. I know that Rocky singlehandedly ended the Cold War in Rocky IV, and the soundtrack is amazing. But, Ivan Drago is no Clubber Lang. Still, there’s nothing wrong with being on the level of a Rocky IV. If I’m going for a Pop Tart, it needs to be Pop Tarts – Strawberry. The marshmallows in Lucky Charms are Rocky III. The cereal bits are Rocky Balboa. So, here lie Lucky Charms. While I don’t go cuckoo for Cocoa Puffs, they are pretty tasty. Dressed appropriately, Quaker Oats Steel Cut are both age-appropriate and a nice weekend breakfast. With anyone other than Mr. T playing the antagonist, this move would have bombed hard. Instead, you get this and this. #DeadMeat. Survivor’s Eye of The Tiger is the greatest Rocky song of all-time. And don’t forget about the mountain of molten lust: Thunderlips. These cereals are amazing too. Numbers 3, 2, and 1 in my previous rankings. There can be no debate that the original Rocky is the best of the franchise. And as far as top cereals go, like the Highlander, there can be only one. And that’s Honey Maid S’mores. It’s a combination of cocoa puffs, Golden Grahams and mini marshmallows. If you’re not down with that, then go back to Russia, Commie! I could eat ’em dry, with milk, water, beer, it wouldn’t matter. They’re that good. Now that we have all of this cleared up, I’ll be back on Monday with my spice rack actual employment law stuff.